Jan Tegler – The F1 season concluded with the recent Abu Dhabi Grand Prix. Nico Rosberg beat teammate and 2015 World Champion Lewis Hamilton for his third consecutive win. You were on hand at Yas Marina, what was your impression of the race and the championship this year? Stefan Johansson – It was a typical Yas Marina race I would say, this track doesn’t seem to lend itself to great racing for some reason. The combination of its layout and the aerodynamics of the current F1 cars makes it very difficult to get close enough to someone to get a good run on them. The season overall was pretty much as expected with just a few exceptions. Mercedes totally dominated the competition again. Lewis did a superb job the whole year until he won the championship (at the USGP). What happened after that is hard to say, whether it was his performance falling off or maybe Nico found the magic bullet on his car set up towards the end of the year. We won’t know that until next season starts I suppose. I think Ferrari had a better year than many people expected. Aside from that, Force India would be the team that stands out. I think they did a fantastic job under the circumstances they were in. They were probably the only team that made a really big improvement over the course of the season. And as critical as I’ve been of Sergio Perez in the past, I thought he did a very good job and blossomed together with the team. He made [Nico] Hulkenberg look pretty average in a lot of the races from mid-season forward. Also, you have to admit that Max Verstappen did a very good job as a rookie. The Toro Rosso car was obviously very good too because Carlos Sainz was equally quick in the car as well. He just had a lot of bad luck. Had his luck held, I think he would have had equal results with Verstappen. 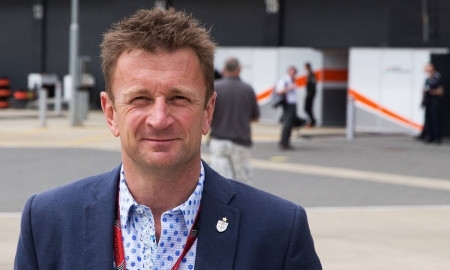 JT – What did you think of the quality of racing in F1 in general in 2015? SJ – In a lot of ways it’s the same as it’s always been. Out of the whole season you get maybe four races that are exciting, usually when something happens that’s unexpected – when weather conditions are weird or something else unpredictable influences the racing. But if things are as normal, i.e. racing on a Tilke-designed circuit with normal weather conditions, the races are mostly processional events. Unfortunately, F1 has become an engineering race. It has always been about technology of course so someone’s always going to have an edge. But now engineering is at such a premium that if you get one thing wrong with design of your car, or it’s not fully optimized, there’s no way to recover quickly. It’s fascinating if you’re an engineer and also as a driver inside the sport to be part of this never ending development war, but it doesn’t make the racing compelling for the fans. JT - You remained in Abu Dhabi for the week following the grand prix to be on hand for the GP2 test with 2015 F3 champion and Macau GP-winner Felix Rosenqvist. Felix had a fairly good test and seeing the GP2 series up close again gave you an interesting perspective. SJ – Yes, to start with, the cost is very high for a feeder series, something like $2 million per year in competitive team. Stoffel Vandoorne absolutely cleaned up this year (Vandoorne captured the 2015 GP2 championship by a wide margin) and will end up doing Super Formula in Japan next year under a testing contract (Vandoorne is part of McLaren’s Young Driver Program). But those contracts have little meaning these days. Another thing that struck me while attending the test was the tire situation in GP2. They are using Pirellis just like in F1 and for some reason that is beyond me whoever is in charge of the series has decided the GP2 tires should mimic the characteristics of the F1 tires. Basically, the tires are good for about 5 hot laps then they just fall of a cliff. So all these young drivers who need as much seat time as they can get and need to hone their race craft by racing hard from start to finish are basically cruising around - several seconds off the pace - for most of the race trying to save their tires. It doesn’t make any sense to me on any level and I feel sorry for these guys. I spoke to a couple of the current GP2 stars and they all agree. One of them is 20 years old and very promising and he told me he’s sitting there in the middle of a race asking himself if this is really what he was hoping to do when he became a professional driver, cruising around at eighty percent just to make it to the end of the race? JT- So, if you have to spend two years in GP2 to have a chance of winning the Championship - which equates to around $4 million - and have very little to show for it at the end of the day, what do you do as a driver? SJ - It’s a big dilemma. I talked to several driver managers and F1 managers while in Abu Dhabi and it seems the general consensus is that most of them have in fact given up on the idea of pushing their drivers all the way to F1. The path to get there is too expensive and it’s getting more and more difficult to find sponsorship for both the teams and the drivers. Instead people are starting to focus on DTM and sports cars as alternative routes for a career as a professional driver. It’s a sad situation when even the people in F1 admit that the best drivers don’t have a chance to ever drive an F1 car, or at least not race one. The only open wheel series that makes any sense in my opinion right now is IndyCar. There is a good ladder system in place in America where the winner in the Indy Lights Championship will get a good portion of the budget towards an Indycar program plus a guaranteed drive in the Indy 500 as the reward for winning the series. The racing is outstanding in Indycar. Every race goes down to the wire and you can never count out anyone until after the last pitstop. Six drivers had a chance to win the Championship going into the last round this year, I don’t know any other series that comes even close to that. But as I’ve said so many times, unfortunately the IndyCar people don’t seem know what a great product they have and they certainly don’t know how to market it. 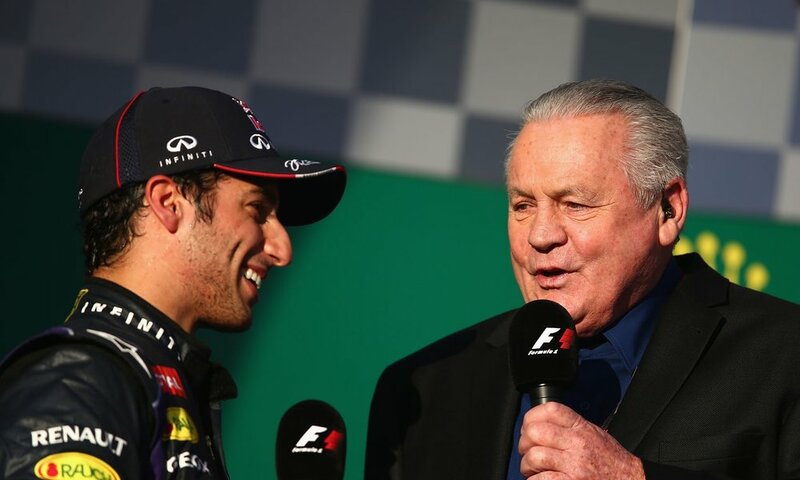 JT – In off-season Formula One news, several ex-F1 team principals including Colin Kolles, Norbert Haug and David Richards have suggested that Gene Haas’ new American F1 team, Haas F1 is in for a “rude awakening”. They contend that Haas will face financial strains quickly, struggle to find sponsorship and have problems a result of their operation being split between England, Italy and the UK. SJ – I think Haas has actually done his homework remarkably well. So far, I’d say everything they’ve done has been done the right way. By going the route of shared resources they are reducing the financial strains. If you can outsource aspects of the operation, why not do that? There’s no need to reinvent the wheel with every single part of the car as most teams do. All the other start-up teams and even the smaller teams that have been bought by various entities over the years, they all have their own facilities and they choose to build everything themselves. I actually think Haas F1 could surprise a few people. They have the powertrain sorted (with Ferrari) which is crucial these days. If they keep their package relatively simple I think they could do a very good job and I have a feeling they may do a lot better than people seem to think. JT – Revisiting the subject of McLaren Honda’s lack of form, do you think they will make progress and be competitive in 2016? SJ – Yes, I think they will make a big leap next year. Their performance has been so bad in 2015 that it’s not going to be difficult for them to make a pretty giant gain. With their combined resources I am sure they will bypass a number of teams to get back to being one of the top five teams easily. I think they’ll be regular points-scorers next year but then of course the closer you get to the front, the harder it gets to be a regular winner like they used to be. JT – The FIA recently released the latest update to its controversial Driver Ratings. The update applies to 2016 and has come under heavy criticism. Well known sports car stars like Scott Pruett have had their ratings downgraded (from Gold to Silver in Pruett’s case). Many, including pro drivers, have opined that the FIA’s system is flawed, open to manipulation and is hurting the careers of both experienced and up-and-coming drivers. What’s your view? SJ – I think they should throw the whole ratings system out the window. The main purpose of that ratings system when it first came out was to give gentlemen drivers with funding a chance to race and to help teams attract funding. It was also supposed to generate bigger grids. But all of that tends to work itself out naturally just as it always has. Now all of the teams are vacuuming the market for 18-year-old drivers with talent and a bit of money who haven’t been graded yet. So the purpose of their idea is completely out the window. In the process, there are a lot of unfortunate guys who are now Gold rated that simply can’t get a drive as the rules require at least one Silver driver per car. Their careers are completely screwed up. Most have little chance of getting a drive anywhere. As a result, you wouldn’t believe the lengths some of these drivers go to get downgraded to Silver. You need a degree in understanding the system to know how to submit the 30-some pages of evidence they send to the FIA, making the case why they should be a Silver, not a Gold driver. I replied that it will sort itself out naturally. If a team only puts a gentleman driver in for half an hour under a full course yellow, that driver won’t be happy and he’ll leave that team for another. If he is happy with the decision the team made then there is no problem to begin with. The free market will always work these things out by themselves. The more rules or gimmicks you put in place the more complicated it gets and it rarely ever works. 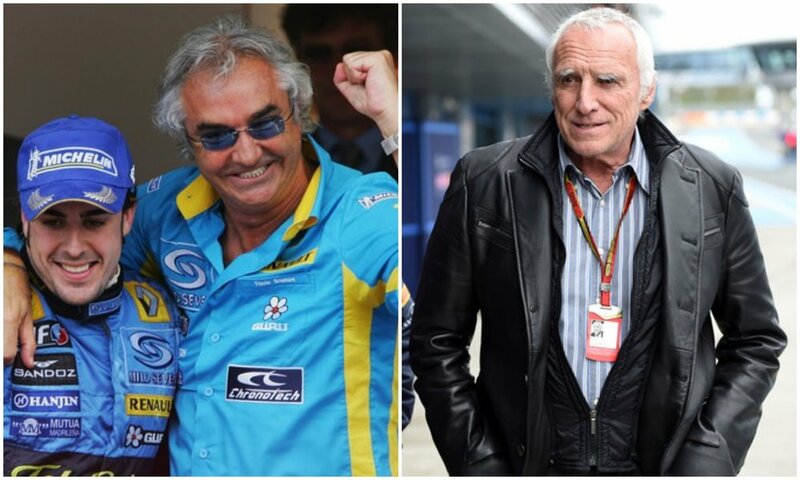 The rich guys have always been around in racing. They’ve always funded teams and naturally they like to surround themselves with guys that make them look good. This is completely normal. They race for a while then they either get bored or the money runs out and there’s another one that comes along. It’s never been any different, particularly in sports cars – it’s always been a mixture between manufacturers and rich guys. Seldom do you see a big sponsor that entirely funds a privateer team with pro drivers. Rebellion is like that in WEC but they’re the exception. Even when you have a team like that, most of the time the owner is driving one of the cars and funds the rest of the program. There are plenty of teams in sports car racing that operate this way, and always have been, long before the driver ratings system was put in place. For most private teams in any category of racing, it’s a matter of survival today. The manufacturers are throwing obscene money at every level, whether it’s F1, WEC, etc. The money’s getting completely out of hand. The rest are trying to keep up and are picking up the straws. The cost for those who aren’t manufacturers is so high now that it’s just about impossible for any privateer team to make decent money. If you can get by and break even you’ve done a pretty good job. JT – IndyCar named a new president of Competition and Operations in November. Jay Frye was tapped to fill the role vacated by Derrick Walker in August (Walker has now taken the helm at SCCA Pro). Any thoughts on the change? SJ – It’s hard to say. All of this is just moving pieces around in small circles. Personally I don’t think there’s that much wrong with the Competition and Operations to begin with. What IndyCar needs to do more than anything is to have a good look at the bigger picture and figure out how to market itself. They have the best competition of any racing series in the world in my opinion but they are still struggling to get a decent TV audience. I think all of their effort should be put on marketing and figuring out how to attract a much broader audience. The rest of the package is adequate. Whatever they’re doing now is just polishing and fine-tuning what’s already a good product. JT – Audi has been testing their latest R18 e-tron Quattro LMP1 racer, updated for 2016. Both Porsche and Audi have confirmed that their efforts at Le Mans in 2016 will be scaled back to two cars apiece for the 24 hour race. Toyota meanwhile is at work on their 2016 P1 car, a platform that will move up to the 8-megajoule class with a new turbocharged engine replacing the TS040 Hybrid’s naturally-aspirated V8. What do you think of these developments and what of Nissan? SJ – Audi’s gap to Porsche wasn’t particularly big this year. Yes, Porsche dominated but I think Audi’s new car looks like a weapon. These P1s are the coolest looking cars out there. The Audi looks so aggressive and futuristic like a race should. I love it. It’s hard to say if Toyota has the right combination to get back to the front. I guess it depends on whether they’re willing to invest the same kind of money Audi and Porsche are investing, which is now in F1 territory. It looks like Nissan are definitely going ahead with the project (the GTR-LM) again. They seem to be committed for 2016 so I guess we’ll see what they come up with. I don’t think the car will ever be competitive though. They will probably close the gap which is not hard considering how far behind they were this year but they will never be in a position to win.